what can we do to take action apart from eating organic food ? Please listen to this video ! Tiens, elle a été mise sur Facebook, par Susan, une collègue américaine. I have read some where that canola oil is the healthiest of all commonly used cooking oil. we should use it "bio" then ! If I don't forget it before (I'm leaving home), I'll give you more links posted by Susan. Pregnancy is a good time to make the switch to organic foods. By going organic, you avoid exposing yourself to the antibiotics, artificial hormones, pesticides and genetically modified feed found in many non-organic meats, produce, grain and dairy products. Don't be fooled by front of package labeling. At first glance, this product may look like a healthy option, but take a closer look and you may be surprised. While the front label claims this mayo is made with olive oil, the ingredient list shows it also contains canola, soybean oil, sugar and maltodextrin, all of which are GMOs. We also spotted this #ScarySeven ingredient: Potassium Sorbate - which research shows can damage DNA. You can feel good about leaving this product on the shelf. We strongly disagree with the General Mills position of keeping GMO ingredients hidden from consumers. In Europe General Mills products don't have GMO ingredients. 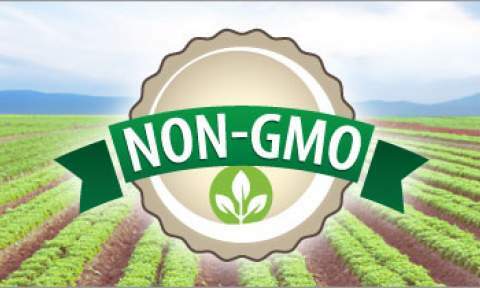 Common GMO ingredients include: Modified Corn Starch, Sugar, Vitamin E (Mixed Tocopherols). Join us in calling on Cheerios to remove their GMO ingredients from their cereal and to STOP spending money against GMO labeling and consumers fundamental right to know. As we can guess, Americans are a bit behind on that point but they are catching up. The American people want to know whether or not their food has genetically modified components inside. But for the most part, the FDA has resisted any efforts to label foods as GMO-free or containing GMOs. Now, however, advocates for Non-GMO foods have done their work with a different regulatory agency, the USDA, in order to get labeling approved for meats and eggs that also indicates if the animals were fed GM food, signaling a small but important success in the fight for a transparent food industry. You may have heard this news, but we’re trying to spread the word even more! 1.Permaculture is an innovative framework for creating sustainable ways of living. 2.It is a practical method of developing ecologically harmonious, efficient and productive systems that can be used by anyone, anywhere. Permaculture encourages us to be resourceful and self-reliant. It is not a dogma or a religion but an ecological design system which helps us find solutions to the many problems facing us - both locally and globally..
Victoria Dufour from Falmouth polyglot is involved in that project. Thanks a lot for this information. Americans have to fight hard but little by little, they succeed. On the other hand, Europe oblige France to go backwards. Thanks to you, the Grocery Manufacturers Association’s (GMA) membership roster is a little shorter today. Weil Lifestyle, the company founded by heath guru Dr. Andrew Weil, cut its ties with the GMA after 24,623 of you signed our petition pointing out the hypocrisy of telling customers and followers that GMOs should be labeled, while paying dues to the largest contributor to the campaign (NO on 522) to defeat GMO labeling in Washington State. The GMA, which donated $2.2 million last year to defeat a GMO labeling initiative in California (Proposition 37), has contributed another $2.2 million so far this year to defeat I-522. So, who’s next? Safeway? Starbucks? Target? Let’s keep the pressure on these big-name brands. Maybe they’ll follow Dr. Weil’s lead? Wow. Bayer has just sued the European Commission to overturn a ban on the pesticides that are killing millions of bees around the world. A huge public push won this landmark ban only months ago -- and we can't sit back and let Big Pesticide overturn it while the bees vanish.